Interesting case study using a number of cool data points that shows how WordPress has won the crown amongst Joomla and Drupal for being the most widely used CMS in the world. One things for sure, it certainly paid off for WordPress to be focused on making the democratization of content publishing as easy as possible first, then making WordPress incredibly extensible later. There is an entire laundry list of reasons of why WordPress is at the top of the mountain right now, the success of the platform can not be traced back to one thing. The comments in the article contain a couple of those reasons while the others are spread amongst the various comment and forum threads on the web. The past 7-8 years is very interesting to look back upon to figure out how WordPress ended up in it’s current spot of being the best in breed within the content management space. But, what I find even more interesting is if whether or not the things that made WordPress successful in the past will continue to stick around so that the platform is equally or more successful in the future. Focus, ease of use, extensibility, etc. Be right back, I’m going to go ask my magic 8 ball. Respectfully Jeff, thats not even close to true. WordPress excels at a number of things, and it’s done brilliantly to capture that market (blogging, and small & simple websites), but the idea that because it’s had more installs than Joomla and Drupal (which are going after a different market) that it’s suddenly the “best in breed within the content management space” is ridiculous bro. Simply, and utterly ridiculous. 6. ESI Caching / CDN ability. btw: That amazing website by Amazon to show off the power of WordPress is just 1 logo, no menu, 1 blog post – never updated. Oh and the link on the page doesn’t work. @Kevinjohn Gallagher – So what if instead, I said it’s the best in breed in terms of content publishing? It’s the best in breed in something. How else do you explain it’s popularity and why so many people choose to run with it instead of going with the hundreds of other options out there? To say, then, that WordPress is just blogging software is naive. Likewise, to say that WordPress is not blogging software is a bit disingenuous. The reality is that WordPress is a very successful blogging platform, as well as the world’s most successful CMS. This is far more accurate. Just because something is successful does not mean it’s the best. e.g. IE7 and IE8 were supremely successful. @Jeffro – yes, absolutely, WordPress is a slam dunk with respect to content publishing. I like to refer to WordPress as a “Digital Publication Engine.” And I can’t think of a better one. @Kevinjohn Gallagher – Thanks for putting this out here in the cold light of day. I do a fair bit of silent teeth gnashing when over-exposed to the WP-is-a-CMS thing. Because, it’s not, yet, really. * Content auditing should be in a CMS (including who touched what, when and whyfor), but full-on workflow? Where does the PM leave off and the CMS pick up? In any case, there are a couple of decent auditing plugins for WP now. Very helpful. * n-to-n content sharing can be done with a plugin. It’s very slick. * Access and role management can be handled with some coding on the capabilities API. I could go on, I won’t. Note: my comment is with respect to a web cms, not something you expect from a Documentum, Alfresco, installation, etc. Upshot, I’m really glad you posted because I agree with a lot of what you say, and I’m also really pleased WP is making moves in the right direction (and quickly, too). I hope this thread blows up (and I don’t get too badly singed!) It’s a great conversation and now is the right time to have it. @Kevinjohn Gallagher – Well, I knew someone was going to play THAT card against me, might as well be you :) I agree that just because a large amount of people use something, it doesn’t mean it’s the best. However, there are plenty of other options that exist that are free and open-source but a large percentage of people have chosen to use WordPress instead of the other content management systems. Are those people idiots or are they sticking with WordPress in the long run because it fulfills most of their needs and it doesn’t take a rocket scientist to use the software? I only run one Website, this one. I’ve used different content management systems in the past such as Joomla and Drupal and therefor, my perspective of them is skewed based on that experience, not current use. So far, WordPress has not given me a reason to look at, test, or use a different system for publishing and managing content. By the way, we can go back and forth all day long as to what a CMS actually is, but I use WordPress to Manage my published content and therefor, I consider it a CMS although I also consider it to be a publishing platform. You don’t see WordPress as a CMS, I do. @Dave Doolin – If WordPress ends up putting all that crap into the core, it will become the 20% of the feature base that I’ll ignore. As a one man site author, I don’t need all that jazz. I need what WordPress offers today and thankfully what it doesn’t have, can be supplemented with some great plugins. But if WordPress starts to become some corporate thing that ends up satisfying most of the things that Kevin mentions, then I’ll end up being pushed to the edge case in terms of why I should use the software. So the question then becomes, how does WordPress maintain the strengths it has today in terms of why it’s so popular with users all across the board in terms of skill levels but also implement most of what Kevin thinks WordPress needs to be considered a true CMS? What should, and should not, be added to the core in the future is always going to be a contentious issue. I think the core should stay the core and not be a dumping ground for every possible feature anyone could ever want. It would also quickly become a nightmare for the core dev’s to debug. I think there would be great value continuing to develop the core api’s and branch out major new functionality into Plugins. Two good existing examples of this are bbPress, and Jetpack. @Kevinjohn Gallagher – I agree the “best in breed” comment is without merit, but most of the CMS requirements you listed here are covered by a number of high quality plugins (and that form of coverage is no different than how the Drupal or Joomla ecosystems work). 1. Document management — Check out Ben Balter’s Google Summer of Code project. It’s a fantastic piece of work. 2. Workflow management — See Edit Flow, already used in a number of newsrooms. It’s worth nothing that Document Revisions and Edit Flow interact with each other — have them both on the same site, and you can use the manage a workflow for your documents. It’s mighty clever. 6. ESI Caching / CDN ability — W3 Total Cache supports the gist here. 7. WYSIWYG editing — Despite the bad rap given to most WYSIWYG editors, MoxieCode’s TinyMCE is the best one out there. Core supports it out of the box of course, and plugins and themes are pushing its limits with the editor API and editor styles. 8. Single Sign-on — With what? There’s plugins to do this with social networks, specialized authentication systems, and the like, and building a plugin for a system that isn’t covered is easy. 9. Multi-side Admin — Ours is pretty good. Could be better. Have any ideas? 11. Access Management — Combine a plugin like Members with a plugin like Edit Flow, toss in some custom capability code, and you have yourself a pretty good base system. 13. Multi-lingual — This is definitely a sore spot. Most of the plugins that try to do this, do it really poorly. Not much different than the e-commerce offerings, currently. I certainly didn’t cover all of your points, and some of them have no corresponding WordPress solutions. Some of the plugins I mentioned are nascent. What we need is the demand to occur and the ecosystem to step it up. “If you build it, they will come” isn’t really a core philosophy. I think we can all agree that WordPress is awesome. I’m also cool with the idea that WordPress is a CMS in that it helps Jeff manage the content on this blog. It’s not that I don’t think it’s a CMS, it’s just not a CMS in the same way that the others on the list are. It’s like… comparing a Harley Davidson bike to a Greyhound bus. The Harley looks awesome, and can do some simple things well. The Greyhound bus does more things for more people than the Harley, but requires more work to get the licence. It’s wrong to say that one is better than the other at every thing simply because more people in a specific subset have Harleys. If all you’re wanting from a vehicle is to go to and from your mates house, a Harley is awesome. If you want to take 60 people cross country, with multiple drivers, and go shopping, then the Greyhound bus is the better option. Is it accurate then to say that the Harley is either the best or most successful mode of transport? The stats in the article are based on the top million websites. The Key stat I think is that there are more blogs in the top 1 million sites than any other type of website. Jeff this website has 1 blog page, and 2 static pages. If you were my client I’d recommend WordPress, and I’m so glad that its working for you. But above a certain size or functionality, using WordPress becomes counter productive (hello e-commerce, hello forums). how does WordPress maintain the strengths it has today in terms of why it’s so popular with users all across the board in terms of skill levels but also implement most of what Kevin thinks WordPress needs to be considered a true CMS? I’ve given a slightly wrong impression there, sorry. I do think WordPress manages content, it just doesn’t manage as much content as the other CMS’ listed. 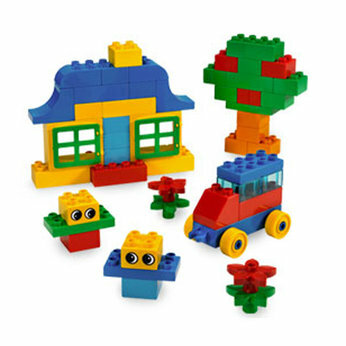 WordPress is like Duplo. Comparing it to Mechano or Space Lego when all you want to do is build a house is unfair. Take forums as an example. Forums are awesome, exceptionally simple, and have been around since before the first website (as Bulletin Boards), but we don’t have an honest-to-goodness genuine forum that works well with WordPress. I’m not suggesting that WordPress should suddenly attempt to morph into something it’s not, such as Drupal or Joomla, but I am suggesting that growth of popularity due to ease of use and ease of installation over functionality are things to be wary of. It’s alot easier to fix the UI than it is to fix the underlying data structure. Just because something is either a) popular or b) widely used or c) simple – doesn’t mean that it’s either sustainable (hello IE6, IE&, IE8). Facebook, Google+, Twitter have all made huge in roads to “blogging” sphere in the last 6 months. More and more of the blogs/news sources are moving to using these services rather than be reliant on plugins that are not tied to the latest version of the software (e.g. Robert Scoble and WordPress’ reliance on community created social media plug-ins). If it starts eating into the that market, what does WordPress have to fall back on? here’s an image from Dougal Gunter’s website from last year that appeared on the planet.wordpress.org news feed. The idea that it’s as easy to change the underlying Architecture and API of any system, as it is to make it look better is not even close to accurate. Sometimes we WordPress fans need to look outside of our own bubble. @Jeffro – I agree, most of that doesn’t belong in core, not at all. What core is doing (from what I can see and understand), is evolving an API for building such components as CMS plugins, themes or even applications on WP core. I talked to a developer from Salon.com last week about their experience with WordPress, and he indicated they were delighted with how well it’s working out for them. Off to read Mr. Nacin’s comment next. @Andrew Nacin – Ben’s document management plugin is *really* cool. I have to put a plug in (heh) here for Stephanie Leary’s Content Audit plugin. It’s helping me keep older articles updated and relevant. Even better, it “feels” like WordPress, like it’s a native piece of the system, and works that way too. Sorry my earlier reply to Jeff and Dave got caught in the comment spam queue so it appears after you, but doesn’t address your kind reply. Sorry about that bro. First off, I agree with the premise that no Open Source eco-system should be judged independently of it’s addons, and that both Drupal and Joomla are as reliant as WordPress is on these. 1. Ben’s plug-in is great. Truly, it replaced a custom one of mine that did similar, and I love it. But it’s somewhat simplistic in nature. I truly don’t mean to be disrespectful of it when I say that, as it nails everything it set out to do, but in comparison to the equivalents in Drupal or Joomla or EZpublish or Umbraco or even Squiz (all open source) it’s not quite there. It also stores documents in an MD5 hash, which means we can’t use it on Government websites in certain countries (namely America, Canada, Germany, France etc) as well as many fussy clients. Additionally using it on websites/intranets for the type of clients who need this sort of thing, means that we can’t upgrade WordPress, and we all know what the community thinks of people making their own mind up on when to upgrade (they don’t like it). 2. EditFlow. A truly awesome bit of functionality, but again, it’s not really complete. It works brilliantly if you’re handling a single post type: posts. For the newsrooms (and equivalents) that I’ve seen using it, it’s a game changer. If you’re not talking about a website that’s focused on a single continuous post type differentiated by taxonomies, then EditFlow’s not there yet. Will it be a silver bullet in 2012? I have no doubt. Is it 2012 yet? Nope. 7. This one is my bad, sorry. Tiny MCE is grand (bad rep and all, I think it does what it says on the tin) apart from one thing. It’s not What You See Is What You Get. It’s not. It’s a plain representative of text on your website. That’s not what I meant. I meant editing content with the actual page template styles so that What you See Is ACTUALLY What You Get. In the WordPress WYSIWYG editor H5 and H6 are smaller than normal Paragraph text, yet loading any default WordPress theme for the last 3 years and the opposite is true. I’m not being obtuse here, this is what more and more of my clients are after. Because so many proprietary systems have it. In the UK we have a crap hosting company called 1&1 who sell a SaaS to make your website for $200, and on the TV advert it shows people dragging and dropping content, and editing inline with real styles – this is what the “man on the street” thinks a CMS can do now. I know it’s an enterprise level CMS, so it’s unfair to think WordPress can match it, but THAT is WYSIWYG. A plain box with bold and italic text that has no correlation between the content and the chosen template isn’t WYSIWYG. In that regard, we’re Cavemen bro. Look at Carrington Build (http://crowdfavorite.com/wordpress/carrington-build/), which is on the right lines in terms of dynamic templates that are self service, but it’s still not actually WYSIWYG. We’ve not had a working LDAP plugin for months. We’ve not had a working Active Directory plugin for months. These are not small systems no-ones ever heard of. I was one of the idiots who tried to make bbPress work with WordPress for 2 years – even with the help of Sam, Matt and MDwaffe we couldn’t make that work for months with bbPress0.9 and WP2.6-2.9. MediaWiki can’t interact with it. We don’t have a single-sign-on API that doesn’t change on a per release basis. 2.7 was a rewrite, 3.0 caused problem, 3.2 causedproblems. The other OSS software I mentioned doesn’t have these issues as they have a defined API. More and more my clients want to show different PARTS of content on pages to people with different criteria. Given that WordPress treats a page/post of content as a single entity (1-to-1 issue), this isn’t possible from a UI perspective. It also makes previewing based on user, role, country, hair-colour etc almost impossible. Could I architect a way to do with between two established plugins and a large chunk of custom code? I think so yeah. Would I be confident that I wouldn’t need to rebuild it every WP release? Nope. Would I be confident of debugging based on dependencies of 2 separate software projects, especially as Members has had 1 upgrade in 2.3 years? Nope. With the meteoric rise in sensitive and insanely accurate Analytics and A/B testing these days, the inability to do this is a large issue, that’s often overlooked (its not needed on a blog). — This is definitely a sore spot. Most of the plugins that try to do this, do it really poorly. Not much different than the e-commerce offerings, currently. I love that you said this. Because I think THIS is something that should be lead by the Core. It needs to be thought through, well architected and aligned, and deep down has to have the blessing of the Core Team or whoever builds this system is going to run into constant upgrade / custom build issues. If you don’t mind me saying Andrew, people like me respect the heck out of the work the Core Team does, even if people think we have a weird way of showing it. I also get that my clientele are not the norm for most WordPress agencies. But maybe we should stop making AdminUI changes every release, stop focussing on blogging for just one release, and have a good long look at our architecture. I’m no-longer qualified to say anything unpleasant about it give all the hard work that so many have put into it; but to me no good multi-lingual support, no good e-commerce solution, no good forum solution, no link management, no good/real hierarchal support, and no n-to-n content support suggests that something isn’t right. 436 days with a paid developer to convert bbPress1.0 (which was already running on BackPress/WP3.0) into the bbPress2.0 plugin, that’s slower out of the box than any of its predecessors (even with full WP integration) that only works with 3 of the top 20 themes on the WP repository without custom coding screams “something’s not right there”. I mean, We’re still in a position where someone with the capability to Moderate a comment is REQUIRED to be able to edit any piece of content on the entire website or network??? WTFudge! As always, I’m very appreciative of the time you give up to read and reply to the communities thoughts.